In the past decade, prescriptions for Ritalin, a stimulant medication commonly used for attention deficit hyperactivity disorder (ADHD), increased five-fold, with 90 percent of all prescriptions worldwide consumed in the United States. As many parents grow leery of the traditional medical approach to ADHD, doctors of chiropractic are offering promising results with nondrug treatments that focus on postural muscles, nutrition and lifestyle changes that affect brain activity. Some children may simply have difficulty learning certain subjects, but the current system—in a sense— prompts school officials to encourage their parents to have the children diagnosed with ADHD, says Dr. Scott Bautch, past president of the American Chiropractic Association (ACA) Council on Occupational Health. “The higher the number of disabled kids in the school, the more funding the school can apply for,” says Dr. Bautch. The traditional medical model, however, seems to follow the cookie-cutter principle. The diagnosis of ADHD is based on a questionnaire. But this is not enough, says Dr. Robert Melillo, a chiropractic neurologist. “True ADHD patients have other signs —tics, tremors, balance or postural problems, or unusual sensitivity to touch, movement, sights, or sounds.” Unfortunately, although medications can keep ADHD under control, they don’t cure it. 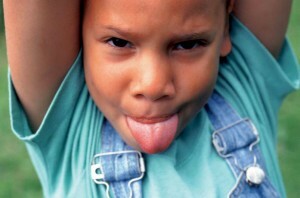 Eighty percent of patients have ADHD features in adolescence, and up to 65 percent maintain them in adulthood. Doctors of chiropractic and chiropractic neurologists offer a non-drug and non-invasive treatment alternative for ADHD patients that targets the underlying problems, not just symptoms. “Motor activity—especially development of the postural muscles—is the baseline function of brain activity. Anything affecting postural muscles will influence brain development. Musculoskeletal imbalance will create imbalance of brain activity, and one part of the brain will develop faster than the other, and that’s what’s happening in ADHD patients,” says Dr. Melillo. If you or your loved one is diagnosed with ADHD or has the symptoms, ask your doctor of chiropractic if he or she has experience treating patients with the condition. Doctors of chiropractic are trained to identify neurological problems and find individual noninvasive treatment modalities. They can also assess your nutritional status and help you find the diet that will help you manage your condition. The word “arthritis” means “joint inflammation” and is often used in reference to rheumatic diseases. Rheumatic diseases include more than 100 conditions: gout, fibromyalgia, osteoarthritis, psoriatic arthritis, and many more. Rheumatic arthritis is also a rheumatic disease, affecting about 1 percent of the U.S. population (about 2.1 million people.) Although rheumatoid arthritis often begins in middle age and is more frequent in the older generation, young people and children can also suffer from it. Rheumatoid arthritis causes pain, swelling, stiffness, and loss of function in the joints. Pain and stiffness that last for more than 30 minutes after a long rest. Exercise is critical in successful arthritis management. It helps maintain healthy and strong muscles, joint mobility, flexibility, endurance, and helps control weight. Rest, on the other hand, helps to decrease active joint inflammation, pain, and fatigue. Arthritis patients need a good balance between the two: more rest during the active phase of arthritis, and more exercise during remission. During acute systematic flares or local joint flares, patients should put joints gently through their full range of motion once a day, with periods of rest. To see how much rest is best during flares, patients should talk to their health care providers. If patients experience unusual or persistent fatigue, increased weakness, a decrease in range of motion, an increase in joint swelling, or pain that lasts more than one hour after exercising, they need to talk to their health care providers. In the United States, asthma cases have increased by more than 60 percent since the early 1980s, and asthma-related deaths have doubled to 5,000 a year. What is causing the asthma epidemic and what can we do to stem the tide? 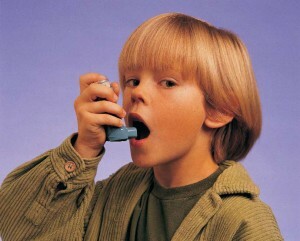 So far, researchers don’t know why cases of asthma are increasing at such an alarming rate. They hypothesize that a combination of genetics and some nonhereditary factors— such as increased environmental exposure to potential allergens — plays a role. “Thirty years ago, Windex was the only cleaning solvent used by a few people. Now, we have a special cleaning solvent for every object,” says Dr. Bautch. “In addition, furniture and carpets are produced with formaldehyde as a preservative, and people breathe it,” he says. Asthma is a chronic disease; it can’t be cured —only controlled. For best treatment results, both the primary care physician and an asthma specialist, such as an allergist or pulmonologist, should be involved. According to experts interviewed for the article, the treatment program, in addition to medication intake, should include reducing exposure to the substances that induce acute episodes and identifying specific allergens that affect the patient. Allergens aren’t the only culprit of asthma attacks. Stress factors — such as moving to a new home, or changing jobs — may induce or aggravate asthma attacks. Even emotional expressions such as fear, anger, frustration, hard crying, or laughing can cause an attack as well. To reduce the patient’s stress level and improve the patient’s quality of life, alternative treatments should be incorporated into the treatment program. 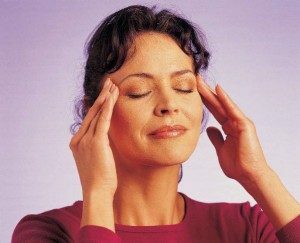 Various relaxation techniques, such as biofeedback, meditation, yoga, and stress management, as well as massage, chiropractic manipulation, breathing exercises, and acupuncture can be helpful. Talk to your doctor of chiropractic about other ways to improve your quality of life. Doctors of chiropractic are trained and licensed to examine and treat the entire body with emphasis on the nervous and musculoskeletal systems. They also help people lead healthier lives by focusing on wellness and prevention. The back is a complicated structure of bones, joints, ligaments, and muscles. You can sprain ligaments, strain muscles, rupture disks, and irritate joints, all of which can lead to back pain. While sports injuries or accidents can cause back pain, sometimes the simplest of movements—for example, picking up a pencil from the floor— can have painful results. In addition, arthritis, poor posture, obesity, and psychological stress can cause or complicate back pain. Back pain can also directly result from disease of the internal organs, such as kidney stones, kidney infections, blood clots, or bone loss. Back injuries are a part of everyday life, and the spine is quite good at dealing with these often “pulled” muscles. These very minor injuries usually heal within 1 or 2 days. Some pain, however, continues. What makes it last longer is not entirely understood, but researchers suspect that the reasons may include stress, mood changes, and the fear of further injury that may prevent patients from being active. In addition, sometimes a painful injury or disease changes the way the pain signals are sent through the body, and, even after the problem has gone away or is inactive, the pain signals still reach the brain. It is as if the pain develops a memory that keeps being replayed. Until recently, researchers believed that back pain would heal on its own. We have learned, however, that this is not true. A recent study showed that when back pain is not treated, it may go away temporarily, but will most likely return. The study demonstrated that in more than 33% of the people who experience lowback pain, the pain lasts for more than 30 days. Only 9% of the people who had low-back pain for more than 30 days were pain free 5 years later. If your back pain is not resolving quickly, visit your doctor of chiropractic. Your pain will often result from mechanical problems that your doctor of chiropractic can address. Many chiropractic patients with relatively long-lasting or recurring back pain feel improvement shortly after starting chiropractic treatment. The relief is often greater after a month of chiropractic treatment than after seeing a family physician. Chiropractic spinal manipulation is a safe and effective spine pain treatment. It reduces pain, decreases medication, rapidly advances physical therapy, and requires very few passive forms of treatment, such as bed rest. CTS should be diagnosed and treated early. A standard physical examination of the hands, arms, shoulders, and neck can help determine if your symptoms are related to daily activities or to an underlying disorder. Your doctor of chiropractic can use other specific tests to try to produce the symptoms of carpal tunnel syndrome. Laboratory tests and x-rays can reveal diabetes, arthritis, fractures, and other common causes of wrist and hand pain. Sometimes lectrodiagnostic tests, such as nerveconduction velocity testing, are used to help confirm the diagnosis. With these tests, small electrodes, placed on your skin, measure the speed at which electrical impulses travel across your wrist. CTS will slow the speed of the impulses and will point your doctor of chiropractic to this diagnosis. Some medications can help with pain control and inflammation. Studies have shown that vitamin B6 supplements may relieve CTS symptoms. Chiropractic joint manipulation and mobilization of the wrist and hand, stretching and strengthening exercises, soft-tissue mobilization techniques, and even yoga can be helpful. Scientists are also investigating other therapies, such as acupuncture, that may help prevent and treat this disorder. Until recently, some doctors who could not find a physical cause for a person’s pain simply suggested that it was imaginary—“all in your head.” This is unfortunate because we know that all pain is real and not imagined, except in the most extreme cases of psychosis. Emerging scientific evidence is demonstrating that the nerves in the spinal cord of patients with chronic pain undergo structural changes. Distraction (redirecting your attention away from chronic pain), imagery (going to your “happy place”), and dissociation (detaching yourself from the chronic pain) can be useful. Feel free to discuss these or other techniques with your doctor of chiropractic. He or she may suggest some simple techniques that may work for you or may refer you to another health care provider for more indepth training in these techniques. 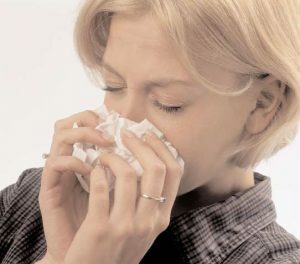 With cold weather knocking on the door, many are concerned about falling victim to colds and flu. Flu vaccine—the most effective way to prevent the flu, according to the Centers for Disease Control and Prevention—remains a controversial subject. First, most flu vaccines still contain thimerosal, a mercury based preservative. Second, because of the unpredictability of flu strains, the available vaccine often doesn’t match the strain of flu that hits the population. But even if the vaccine corresponds with the circulating flu strain, it is not that effective. A recent study found that the overall effectiveness of vaccines against flu-like illness in the elderly was 23 percent when vaccine matching was good, and “not significantly different from no vaccination when matching was poor or unknown.” Well-matched vaccine, however, may effectively prevent pneumonia and decrease hospitalization rates due to pneumonia or flu. Recent research shows that the best protection from flu may be flu itself. In the past 20 years, deaths from flu in the elderly have decreased. At the same time, flu vaccination has increased by 45 to 50%. Researchers concluded, that flu vaccine didn’t help decrease deaths from flu—people simply acquired natural immunity to the emerging strain of flu. Because of this, many are looking into natural ways to prevent viruses. Garlic has been used as a health food for more than5,000 years and is touted for its antibiotic properties and effect on general immunity. A recent study found that a group of people treated with an allicin-containing garlic supplement for a period of 12 weeks between November and February had In the group treated with the garlic supplement, 24 people came down with the common cold, which lasted for 1.52 days, compared with 65 people in the no treatment group who had colds that lasted 5 days on average. Garlic therapy should be discontinued at least two weeks prior to surgery to prevent excessive bleeding. People on anticoagulants should consult their physicians. Green and black teas have been studied for their effects on the cardiovascular system and cancer. A recent Harvard study looked at tea’s role in boosting the immunity system. Participants who drank five cups of black tea a day for 2 to 4 weeks increased their levels of interferon, an important immune defense hormone—up to 4 times normal levels. Drinking the same amount of coffee for 12 weeks produced no such effects. The researchers suggest that the key was in Ltheanine, a substance in tea that increases immune response in fighting bacteria, infection, viruses and fungi. Excessive doses may cause insomnia, headache, dizziness, and diarrhea. The role of vitamin C in the prevention and treatment of respiratory infections has been widely researched. Some studies suggest that vitamin C can affect the duration or severity of symptoms. Others have shown no effect on the symptoms, but suggested that vitamin C can reduce susceptibility to colds. A recent study compared 29 clinical trials in which participants received 200 mg or more of vitamin C daily. The researchers found that vitamin C prevented flu or colds in people who were exposed to “brief periods of severe physical exercise and/or cold environments.” In those who regularly take vitamin C, they concluded that vitamin C plays some role in their defense mechanisms, helping them to recover from their colds faster and reducing the severity of symptoms. People with kidney disease should not use vitamin C.
Zinc lozenges are another home remedy for fighting winter viruses. Although research on this remedy is conflicting, a recent study on zinc gluconate glycine lozenges in school-aged children showed shorter cold duration and fewer colds with the therapy. Zinc lozenges, however, come in different formulations, and more research is needed to assess their effectiveness. In addition, long-term use of zinc lozenges may lead to problems, including impairing the body’s immune responses. Excessive zinc in the diet can lead to copper deficiency and may also decrease the levels of HDL (“good”) cholesterol in the blood. Research indicates that chronic stress may substantially increase the risk of catching cold and stress management reduces the duration of flu and colds. Acupuncture may be effective against preventing and curing the common cold, as well. Many chiropractors have also noticed that chiropractic adjustments have helped prevent or reduce the duration of their patients’ colds. Preliminary results of an ongoing chiropractic study show that chiropractic may increase immunoglobulin A levels and that it decreases the levels of glucocorticoid cortisol, a major component of stress. Diabetes is a severe health condition that can cause life-altering and even life-threatening problems, such as slow wound healing and nerve disorders. It can also complicate problems in muscles, bones, and joints. Diabetes results from an excessive buildup of glucose in your bloodstream. Glucose, or blood sugar, which the body gets from food and also manufactures in the liver and muscles, is a substance the body uses for energy and nutrition. To control glucose levels in your blood, the body uses insulin, a substance produced by the pancreas. An imbalance in this system can cause pre-diabetes or diabetes. In most people, normal blood glucose levels range from 80 to 120. The levels vary depending on the time of day and how long it has been since you’ve eaten. Levels can go as high as 180 within 2 hours after a meal. Pre-diabetes is excess blood glucose that is not severe enough to be called diabetes. The mild-to-moderate abnormal blood glucose levels of pre-diabetes can make you more likely to develop type 2 diabetes, stroke, and heart disease. There are two main types of the disease. Type 1 diabetes, formerly called juvenile or insulin-dependent diabetes, usually begins in childhood to early adulthood. It results from destruction of insulin-producing cells in the pancreas. When the body destroys these cells, insulin levels in the blood become too low to properly manage blood sugar. Type 2 diabetes is also called adult-onset diabetes or non-insulin-dependent diabetes. This condition results from insulin resistance—the inability of body tissues to properly utilize insulin produced by the pancreas. The pancreas compensates by producing more insulin, but eventually it cannot keep up with the demand, especially after meals. Obesity, poor diet, and lack of exercise predispose you to developing type 2 diabetes. A less common form of the disease is called gestational diabetes. It occurs, secondary to hormonal changes, in pregnant women during the late stages of pregnancy and usually resolves after the birth of the baby. It is important to remember, however, that gestational diabetes makes a woman more likely to develop type 2 diabetes later in life. With diabetes, uncontrolled glucose levels can lead to serious problems with vision, kidney function, nerve dysfunction, and blood vessels, including heart attack and stroke. In fact, people with diabetes have approximately twice the risk of stroke and heart attack faced by the general public. In a nutshell, to manage glucose levels, you should exercise regularly, eat a healthful balanced diet, and maintain a healthy body weight. Physical activity helps control blood glucose levels in both healthy adults and in diabetics. Aerobic exercise, such as walking, swimming, dancing, and riding a bicycle, appears to be most beneficial. What that does is raise your heart rate, helping to not only control blood glucose but also prevent heart attack and stroke. You can get some exercise by house cleaning or doing yard work, such as gardening. Physical activity helps diabetic patients maintain a healthy body weight, helps insulin lower the blood glucose levels, and gives patients more energy. Before you start an exercise program, consult with your doctor to make sure that the exercise program is tailored to fit your specific needs. It’s also important to eat foods that are generally low in fat—and when fats are eaten, aim for “good” ones, such as those found in olive oil, fish, and other products. People with diabetes don’t need to eat special foods but should avoid foods that contain large amounts of saturated and/or trans fats. They should also avoid eating too many processed sugars, but instead choose complex carbohydrates such as those found in fruits and vegetables. The benefits of this type of healthy diet can extend beyond blood sugar control and diabetes prevention to help prevent heart attack and stroke. Maintaining a healthy body weight usually comes naturally from good eating habits and regular exercise. Some even suggest that these two steps alone influence the prevalence of diabetes and the maintenance of healthy blood sugar levels. Before yet another round of “maybe-they’ll-work-andmaybe- they-won’t” antibiotics or the drastic step of surgery, more parents are considering chiropractic to help children with chronic ear infections. Dr. Joan Fallon, a chiropractor who practices in Yonkers, New York, has published research showing that, after receiving a series of chiropractic adjustments, nearly 80 percent of the children treated were free of ear infections for at least the six-month period following their initial visits (a period that also included maintenance treatments every four to six weeks). “Chiropractic mobilizes drainage of the ear in children, and if they can continue to drain without a buildup of fluid and subsequent infection, they build up their own antibodies and recover more quickly,” explains Dr. Fallon. She’d like to see her pilot study used as a basis for larger-scale trials of chiropractic as a therapeutic modality for otitis media. 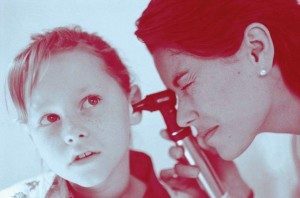 Dr. Fallon uses primarily upper-cervical manipulation on children with otitis media, focusing particularly on the occiput, or back of the skull, and atlas, or the first vertebra in the neck. “Adjusting the occiput, in particular, will get the middle ear to drain. Depending on how chronic it’s been and on where they are in their cycle of antibiotics, children generally need to get through one bout of fluid and fight it off themselves.” That means, for the average child, between six and eight treatments. If you or your loved ones have been diagnosed with fibromyalgia, you may be wondering what the disorder means for you. The condition still remains a mystery, although an estimated 3 to 6% of Americans, predominantly women, have fibromyalgia syndrome. Even diagnosing the condition can be complex: according to the National Fibromyalgia Association, it can take a patient up to 4 years to be accurately diagnosed. Stress-managing strategies can also help address anxiety or depression issues. 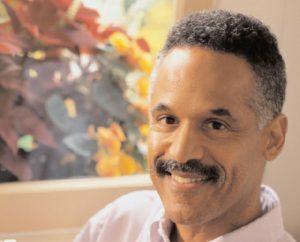 Cognitive therapy has been shown helpful in relieving fibromyalgia patients’ negative emotions and depression by changing their perception of themselves and attitudes toward others. A traditional gym-based or aerobic exercise program may exacerbate fibromyalgia symptoms and is not recommended. Instead, yoga, Pilates, or tai chi, which offer mild stretching, relaxation, and breathing techniques, may work better than vigorous exercise. In the United States, however, it is caffeine—not naps—that helps 78 percent of people cope with their responsibilities. The benefits of caffeine are real: It improves mood and cognitive performance, and coffee consumption can potentially decrease insulin secretion10 and liver cancer risk. On the negative side, regularly consumed caffeine can increase anxiety, risk of headaches and the inflammation process. Cola beverages, but not coffee, also have been associated with an increased risk of hypertension. Caffeine is considered toxic—causing arrhythmia, tachycardia, vomiting, convulsions, coma or even death—only in amounts exceeding 5g. While the risk of toxicity is rare, the pervasiveness of caffeine warrants some caution. Many soft drinks, for example, contain only between 20 mg and 40 mg of caffeine per an 8-oz can; however, today’s specialty coffees can be very potent—ranging from 58 mg to 259 mg, and even up to 564 mg, per dose. Even with adequate sleep and nutrition, our lack of motion can regularly put us to sleep. To prevent mental fatigue, try starting the day with exercise, taking frequent 5- to 15-second microbreaks (shoulder rolls or stretching) throughout the day, getting up and walking every two hours, and, of course, taking advantage of the lunch break to “do the opposite” of what your job entails. For people with mentally challenging occupations, experts suggest a walk or other physical exercise; for those doing physically taxing work, some brain-stimulating activities, like puzzles. Imbalanced body postures, such as slouching, also require the body to consume more energy. In addition to adopting an “energy-efficient” standing position, with feet shoulder-width apart, and sitting straight, which helps improve circulation, take frequent 60-second “Stand up, Perk up” breaks that combine relaxation, breathing and stretching. An old Chinese proverb states, “Only when one cannot sleep does one know how long the night is.” Almost everyone can relate to those words at some point in life. In younger people, stress and worry commonly cause insomnia. Older people suffer from a natural decrease in melatonin—a sleep inducing hormone. Pressures from job and family, illness, side effects of some medications, and aches and pains caused by uncomfortable beds or pillows can also rob us of sleep. Television and computers may also contribute to sleep problems. Computer use, especially in the workplace, has been associated with all types of insomnia in adults—more so than stress, which affects only difficulty falling asleep and early morning arousal. Studies have found that unlimited TV, computer, and Internet use cause sleep deprivation in children—they go to bed later, sleep fewer hours, and feel more tired. Extensive television viewing in adolescence may result in adult sleep problems. Playing computer games may affect adults, as well. A Japanese study found that performing exciting tasks on computers with bright monitors at night affects melatonin concentration and the human biological clock, interfering with sleep. Overall, 40 million Americans suffer from chronic sleep disorders each year, and an additional 20 million have occasional sleeping problems. Deep sleep helps children grow and improves their learning ability. Lack of sleep affects the immune and nervous systems, memory, judgment, attention, patience, and thinking and reading abilities. It can be especially dangerous for those who drive. The National Highway Traffic Safety Administration estimates that sleep deprivation is responsible for 100,000 vehicle accidents a year, resulting in 1,500 deaths and 71,000 injuries. Sleeping problems are common in people with most mental disorders, Alzheimer’s, stroke, cancer, and head injury. In hospitalized patients, sleep deprivation may be worsened by treatment schedules and routines. Insomnia contributes to the patients’ confusion, frustration, or depression. They become more sensitive to pain and may request increased pain medications. Recent research shows that the old advice of sleeping in a comfortable bed in a cool bedroom, eating an early dinner, going to bed at the same time each night, and avoiding caffeine and alcohol before sleep may not work for everyone. Sleep medications are not suitable for long-term use. So, what can we do when all the known remedies have been tried, but sleep is nowhere to be found? On weekends, go to bed at the same time as on weekdays. If you exercise in the evening, do so at least 3 hours before bedtime. Also, stay away from evening brain-stimulating or stressful activities, such as balancing checkbooks, reading thrillers, and playing computer games. Develop a sleep ritual that will help you to relax and unwind, such as a warm bath. Try listening to relaxing music before going to sleep. Soothing music may improve sleep quality in children, older adults, and critically ill patients. Limit your child’s exposure to TV or video games to less than 1 hour a day. Long hours spent in front of the TV may lead to not only sleep problems, but also headache, back pain, and eye symptoms. Make sure there is no television set in your child’s bedroom. Be sure your children go to bed early and get enough sleep. Children between 3 and 6 years of age should get 11-13 hours of sleep at night. Children from 1st to 5th grade should sleep 10-11 hours. Late bedtimes and short sleeping hours have been strongly associated with childhood obesity. Older people should take 30-minute afternoon naps to reduce sleepiness and fatigue and improve mood and performance. Sleep on a comfortable, supportive mattress and pillow. Talk to your doctor of chiropractic about choosing the bed and pillow that are right for you. Acupuncture has been proven effective for some sleep disorders and anxiety. Therapeutic touch and relaxing back massage are useful for promoting sleep in critically ill patients. Traditional chiropractic care may also help those with spasms, pain, and joint dysfunction of the neck and back. Some researchers believe that inadequate stretching and muscle fatigue leads to cramps. Other possible factors include a low level of fitness, overexertion, stress, and dehydration. ensure that your chiropractic care and medical care are properly coordinated. Exercise is one of the best forms of OA treatment— and prevention. It strengthens the muscular support around the joints and improves and maintains joint mobility and function. In addition, exercise helps control weight and improve the patient’s mood and outlook— important factors influencing the severity of the symptoms. Osteoporosis has become an epidemic in the United States. About 10 million people—80 percent of them women—suffer from the chronic condition that leads to debilitating and life-threatening fractures. What’s worse, the number of people with low bone mass—high risk for osteoporosis development— keeps growing. While 34 million people now have low bone mass, by 2010, the number is expected to climb to 52 million. The reasons for the increase are not yet clear, but research points to lifestyle and diet. The bony structure is built in childhood—and weight-bearing physical activity and proper nutrition are essential. Today’s children, however, spend most of their time sitting in front of TV sets or computer monitors and drink calciumrobbing sodas, instead of calcium-rich milk. The inactivity and calcium imbalance makes them more likely to develop osteoporosis. Osteoporosis screening and prevention are especially important because bone loss is irreversible and can only be stabilized, not improved, unless one uses a medication. Spend time outdoors. Exposure to sunlight increases your level of vitamin D—a necessary element for absorption of calcium, which prevents osteoporosis development. If you are looking for a calcium supplement, try one that’s highly absorbable, such as microcrystalline hydroxyapatite concentrate (MCHC), or one of the malates, fumarates, succinates, glutarates, or citrates. But don’t overdo it. Excess calcium may cause kidney stones, so ask your health care provider about your individual supplement amount. Check with your health care provider if you are getting enough vitamin D. Without vitamin D, the body won’t absorb calcium. develop low-back pain at some point during their pregnancies. This is especially true during late pregnancy, when the baby’s head presses down on a woman’s back, legs and buttocks, irritating her sciatic nerve. And for those who already suffer from low-back pain, the problem can become even worse. During pregnancy, a woman’s center of gravity almost immediately begins to shift forward to the front of her pelvis. Although a woman’s sacrum—or posterior section of the pelvis—has enough depth to enable her to carry a baby, the displaced weight still increases the stress on her joints. As the baby grows in size, the woman’s weight is projected even farther forward, and the curvature of her lower back is increased, placing extra stress on the spinal disks. Safe exercise during pregnancy can help strengthen your muscles and prevent discomfort. Try exercising at least three times a week, gently stretching before and after exercise. If you weren’t active before your pregnancy, check with your doctor before starting or continuing any exercise program. Walking, swimming, and stationary cycling are relatively safe cardiovascular exercises for pregnant women because they do not require jerking or bouncing movements. Jogging can be safe for women who were avid runners before becoming pregnant—if done carefully and under a doctor’s supervision. Eat small meals or snacks every four to five hours— rather than the usual three large meals—to help keep nausea or extreme hunger at bay. Snack on crackers or yogurt—bland foods high in carbohydrates and protein. Keep saltines in your desk drawer or purse to help stave off waves of “morning sickness.” Supplementing with at least 400 micrograms of folic acid a day before and during pregnancy has been shown to decrease the risk of neural tube birth defects, such as spina bifida. Check with your doctor before taking any vitamin or herbal supplement to make sure it’s safe for you and the baby. Symptoms of SJD include low-back pain, typically at the belt line, and pain radiating into the buttock or thigh. These symptoms can often mimic those from other causes of low-back pain, such as disc herniations and disease of the facet joints. SJD is most common in adults. Most often, SJD is caused by trauma, especially rotation of the joint while the lower back is loaded, as might happen when lifting or participating in some vigorous activity. It is thought that such trauma causes tears, most often small ones, in the ligaments surrounding the joint, resulting in pain and dysfunction. The risk of SJD dysfunction is also thought to increase with true and apparent leg-length inequality, abnormalities in gait, and prolonged exercise. While more serious conditions such as fracture or dislocation, infection, and inflammatory arthritis can cause pain in the sacroiliac joint, minor trauma is a much more common cause. In pregnant women, SJD is likely secondary to the hormone-induced relaxation of the pelvic ligaments during the third trimester. Weight gain and increased curvature of the lumbar spine are also likely to contribute to the pain in these women. Because SJD pain resembles other types of low-back pain, it is often difficult to isolate it as the actual cause of pain and disability. While no one test is sufficient to diagnose SJD dysfunction, the most commonly used diagnostic procedures are physical examination and anesthetic blocks of the sacroiliac joint. Physical examination procedures, such as orthopedic tests or chiropractic static and motion palpation, involve stressing the joint in various body positions and movements. During anesthetic blocks, a procedure whose validity for SJD diagnosis requires further research, the anesthetic solution often creeps outside the sacroiliac joint and may relieve pain from other structures, making correct diagnosis challenging. Diagnostic imaging procedures, such as x-ray or MRI, aren’t very helpful in evaluating SJD. Because it is often difficult to isolate the SJD as the source of pain, an appropriate management strategy is hard to implement. It is important for you to choose a doctor who is well-versed in the biomechanics and functions of the sacroiliac joint. Once the doctor has determined that SJD is the problem, there are myriad therapies available for treatment. Chiropractic manipulation and mobilization of the sacroiliac joint have been demonstrated to be beneficial. In addition, therapeutic exercise can be helpful. These exercise programs should focus on strengthening the core stabilizer muscles of the spine and trunk and also on maintaining the mobility of the sacroiliac joints. For patients with a leg-length inequality, some type of shoe insert may help manage the problem. These insets can help properly distribute the weight borne by your lower back and sacroiliac joints. If the biomechanics of your gait are abnormal, your doctor may prescribe “gait training.” The doctor will watch you walk and re-train you in proper gait mechanics. Your doctor may also prescribe a pelvic belt to help stabilize the joints as you perform your daily activities. These belts are thought to reduce the excess rotation that sometimes occurs with SJD. Although sciatica is a relatively common form of lowback and leg pain, the true meaning of the term is often misunderstood. 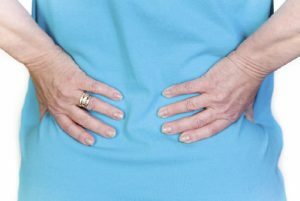 Sciatica is actually a set of symptoms— not a diagnosis for what is irritating the nerve root and causing the pain. Sciatica occurs most frequently in people between the ages of 30 and 50 years old. Most often, it tends to mdevelop as a result of general wear and tear on the structures of the lower spine, not as a result of injury. The most common cause of sciatica is irritation of the sciatic nerve in the lower back (lumbar region) due to a herniated or ruptured disc. Spinal discs are shock absorbing cushions between each vertebra that keep your spine flexible. Discs have a stronger outer ring and a soft jelly-like center, but as we age, spinal discs can deteriorate, becoming drier, flatter, and more brittle. Frequently, the tough outer covering may develop tiny tears, which allow the jelly-like substance to seep out (rupture or herniation). The herniated disc may then press on the nerve root, causing sciatic symptoms such as pain, tingling, and weakness in the legs and feet. Nerve roots may also be irritated by the chemicals found in the discs’ nucleus. Chiropractic offers a non-invasive (non-surgical), drug free treatment option. The goal of chiropractic care is to restore spinal movement, thereby improving function while decreasing pain and inflammation. 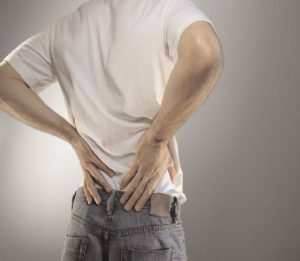 Depending on the cause of the sciatica, a chiropractic treatment plan may cover several different treatment methods, including but not limited to spinal adjustments, ice/heat therapy, ultrasound, TENS, and rehabilitative exercises. Chiropractic spinal manipulation is proven to be effectiveand has minimal side effects. Recently released practice guidelines published in the Annals of Internal Medicine (2007) stress a conservative approach to treating low-back pain and recommended spinal manipulation as one treatment with proven benefits. Scoliosis can significantly affect the quality of life by limiting activity, causing pain, reducing lung function, or affecting heart function. Diminished self-esteem and other psychological problems are also seen. Because scoliosis occurs most commonly during adolescence, teens with extreme spinal deviations from the norm are often teased by their peers. Fortunately, 4 out of 5 people with scoliosis have curves of less than 20 degrees, which are usually not detectable to the untrained eye. These small curves are typically no cause for great concern, provided there are no signs of further progression. In growing children and adolescents, however, mild curvatures can worsen quite rapidly—by 10 degrees or more—in a few months. Therefore, frequent checkups are often necessary for this age group. There are generally 3 treatment options for scoliosis— careful observation, bracing, and surgery. Careful observation is the most common “treatment,” as most mild scolioses do not progress and cause few, if any, physical problems. Bracing is generally reserved for children who have not reached skeletal maturity (the time when the skeleton stops growing), and who have curves between 25 and 45 degrees. Surgery is generally used in the few cases where the curves are greater than 45 degrees and progressive, and/or when the scoliosis may affect the function of the heart, lungs, or other vital organs. Eighty percent of people experience back pain, and at any one point in time, approximately 20% of the population has back pain. For many decades, doctors and scientists believed that most back pain was caused by “slipped” or “torn” discs. We now know this not to be true. Disc problems constitute only a small portion of the causes of back pain and rarely require surgery for pain relief. Spinal discs are a critically important part of your spinal column. Along with the vertebrae, also called the spinal bones, they perform many functions. The discs provide shock absorption, protecting the spinal cord and ensuring flexibility of the spine. They also perform other functions. The spinal discs are essentially ligaments (structures connecting bones) that attach to the top and bottom of each vertebra. They are thick, ligament-like outer rings, also known as annuli fibrosis. Because they are arranged in an alternating pattern with the vertebrae, annuli fibrosis allow flexibility while preventing the vertebrae from moving too much and causing injury. Inside a single annulus fibrosis is a jelly-like substance called the nucleus pulposis. It contains some proteins, but is primarily made up of water. The nucleus provides more shock absorption than does the annulus, and it also acts as a fulcrum to direct the type of movement through which each vertebra travels. A disc protrusion/extrusion, also called “herniation,” is a more significant injury. It results from a complete or significant tear of the fibers of an annulus-when some of the nucleus leaks through. A herniation can also be painful and may even cause nerve compression. In the most severe cases, the spinal cord can become compressed. The most common disc problem suffered by adults is degenerative disc disease. This occurs when the nucleus loses water and small tears develop in it. The body then forms osteophytes (bone spurs), along the edges of the vertebra and the disc space narrows. We used to believe that this was a function of “wear and tear” as we aged. The most recent evidence shows that, most often, there is a hereditary link to the development of degenerative disc disease. Degenerative disc disease can also be caused by trauma/injury. Disc problems are most often diagnosed with the use of a thorough history and physical examination, including examination of your nervous and musculoskeletal systems. Your doctor will most likely move your back and arms and legs into various positions while applying pressure to your joints. Plain film x-rays are helpful in only some forms of disc problems. Magnetic resonance imaging (MRI) hasbecome the mainstay for the diagnosis of disc problems, as it images the discs quite nicely. Your doctor may order an MRI if he or she feels it would be helpful in diagnosing a disc problem and determining the proper course of care for you. Most often, however, this is not necessary. Luckily, in most circumstances, disc problems are easily treated with conservative interventions. Early in the course of an acute injury, your doctor of chiropractic will very likely set a goal of pain control, using several different physical modalities to reach it. Both ice and heat have shown effectiveness in managing the pain of acute low-back injury. Your doctor of chiropractic will help you determine which is most effective for you. In addition, getting you back on your feet and moving as quickly as is safely possible is critical. Typically, the less time you spend in bed, the better off you are in terms of long-term results. You’ll also need to learn not to be afraid to move. If you “baby” your back, in most cases, the long-term results will be worse. Chiropractic spinal manipulation has also been demonstrated to be a safe and effective tool in the management of disc problems. Manipulation is especially effective when combined with therapeutic exercise. In most circumstances, spine surgery and injections are not necessary in the management of disc problems-and they often cause more problems than they’re worth. Your doctor of chiropractic will discuss all available treatment options with you and help you decide on the best course of action. Recent scientific evidence suggests that the best way to prevent back pain, including disc injury-related back pain, is to stay physically active and exercise regularly. This generally means performing general fitness exercises, such as walking, running, and swimming. There is no solid scientific evidence, however, to suggest that any particular exercises designed to strengthen the back are more useful than others. Your doctor of chiropractic can design a specific exercise regimen to fit your needs. It is also critically important to have “spinal awareness.” Make a conscious effort, for example, to be aware of what posture you are maintaining when you sit, stand, lie down, work, and exercise. Lift objects with proper posture, including bending your knees, keeping the object close to your body, keeping your back straight and lifting with your legs. Never lift an object by bending over and twisting. You’ll only invite a back injury. If you answered “yes” to some of these questions, you may have a temporomandibular joint disorder, or TMD. Some conditions once accepted as causes of TMD have been dismissed—moderate gum chewing, nonpainful jaw clicking, orthodontic treatment (when it does not involve the prolonged opening of the mouth, as mentioned above), and upper and lower jaws that have never fit together well. Popular theory now holds that while these may be triggers, they are not causes. Repetitive activity: Doing the same activity over and over can wear on the body’s tissues. You may notice symptoms of thoracic outlet syndrome if your job requires continuous repetition of a movement, such as typing on a computer for extended periods, working on an assembly line, or stocking shelves and repeatedly lifting things above your head. Because TOS doesn’t have unique symptoms, it can be difficult to diagnose. A detailed health history and thorough physical examination are the most important components in establishing the diagnosis of TOS. Your doctor of chiropractic may also recommend X-rays, MRI (magnetic resonance imaging), laboratory tests, or a nerve conduction velocity test if he or she suspects TOS. It is important for your provider to differentiate TOS from other conditions, such as carpal tunnel syndrome, shoulder tendinitis, and a herniated cervical disc—just to name a few of the many conditions that can cause signs and symptoms. In the vast majority of neurological TOS cases, a conservative, non-surgical approach to treatment is most effective, especially when the condition is diagnosed early. A chiropractic treatment plan for TOS may include a mix of joint mobilization/manipulation, physical therapy modalities, home stretching exercises, and soft-tissue therapy. Patients should avoid prolonged positions that cause them to hold their arms out or overhead. For example, avoid sleeping with the arm extended up behind the head. It is also helpful to have rest periods at work to minimize fatigue. Weight reduction can be helpful for obese patients. Patients should avoid sleeping on the stomach with arms above the head. They should also avoid repetitively lifting heavy objects. A home exercise program can be a very valuable aspect of any TOS treatment plan. Below are a few stretching exercises. All of these exercises should be performed slowly and carefully. Each position is taken to the point where a stretch, but no pain, is felt. Patients should not bounce to increase the length of their stretches in any of these positions. Shoulder Rolls — Stand tall with your arms relaxed at your sides. Shrug your shoulders forward and up. Relax. Shrug your shoulders backward and up. Relax. Shrug your shoulders straight up. As you get stronger, you can hold 5- to 20-lb. weights in each hand while conducting the shoulder exercises. Overhead Raise — Stand tall with your arms straight out from your sides at shoulder level and with a 2-lb. weight in each hand. Raise your arms until they meet over your head. Relax and repeat. Keep your elbows straight and maintain the position of the palms (the backs of the hands should approach one another, not the palms) while you are doing this exercise. Note: As strength improves, the weights should be made heavier, increasing to 5 to 10 lbs. Most whiplash injuries are associated with forward and backward movement of the head and neck on the shoulders. Side-impact crashes, in which a person’s head is turned, may result in side-to-side or even oblique whiplash-style injuries to the neck. Approximately two thirds of people involved in motor vehicle accidents develop symptoms of whiplash. Interestingly, the violence of the crash is not a definitive indicator of pain or even the amount of pain. Generally speaking, however, those involved in more severe accidents have more signs and symptoms. To make a diagnosis, a thorough history of the injury and the patient’s previous medical history are taken. Preexisting conditions, such as arthritis and/or previous injury, may increase the severity of the signs and symptoms of whiplash. Following history-taking, an in-depth physical examination, with concentration on the neuromusculoskeletal system, is performed. When appropriate, X-rays of the neck may be taken. If the doctor suspects that the soft tissues (for example, discs or ligaments) in the neck are injured, more advanced imaging studies, such as magnetic resonance imaging (MRI), may be ordered. The use of a soft-cervical collar remains controversial. Some suggest that such devices are inappropriate, as they act as a “crutch” and encourage a patient to avoid activity. Others suggest that, with proper counseling, a collar can help a patient slowly return to normal activities. There is no controversy, however, when discussing the length of time that a soft collar should be worn—no more than one week. Ice and/or heat are often used to help control pain and reduce the muscle spasm that results from whiplash injuries. Other physical therapy modalities, such as electrical stimulation and/or ultrasound, may provide some short-term relief. They should not, however, replace an active-care program of exercise and stretching. Spinal manipulation and/or mobilization provided by a well-trained professional can also give relief in many cases of neck pain.